Portable spot cooling Air Conditioner: WX65 22,000 BTU/HR of Temporary, Portable Spot Cooling. This unit is simple to install and operate, offering customers a cooling capacity of 22,000 BTU/HR. Rugged yet quiet, our air-cooled WX65 performs well in just about any application, including emergency cooling in hospitals or data centers. 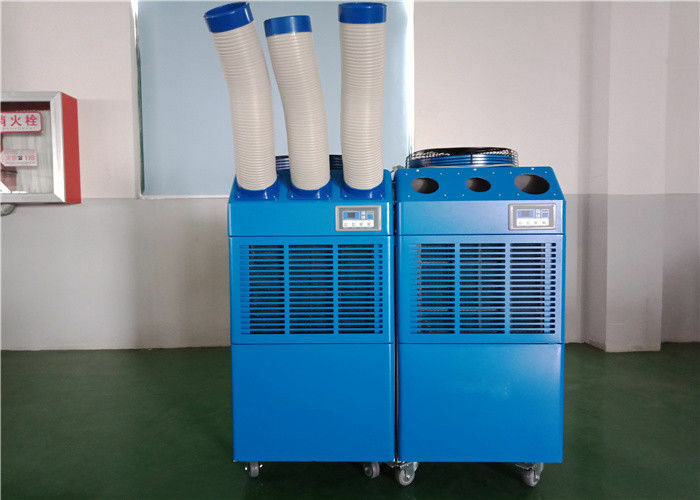 Meanwhile, the spot coolers are the most universal, flexible type of portable air conditioners. Portable air conditions systems have been specifically designed to easily roll into any room or space where you need keep things -- or people -- cool and comfortable. Indeed, our self-contained portable chiller systems are easy to install and operate. Cooling Setup: Bring timely & quickly cooling to building occupants when the central HVAC system is turned off. 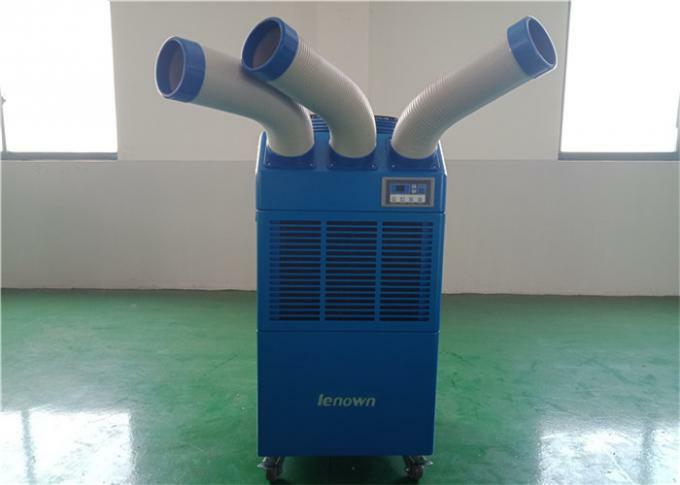 Heating Setup: Portable heat pump combines both cooling and heating capabilities in a single, self-contained unit, it offers significantly higher performance, along with the usual high levels of Weixuan quality and reliability. Dehumidifying Setup: Effective water-damage restoration begins with Weixuan . Dry rooms out quickly to reduce the formation of mold and mildew, and keep them from spreading further. A Weixuan portable unit ensures substantially faster recovery than with fans or dehumidifiers, reducing restoration costs. Best of all, installation is simple. Just roll the unit in, plug it in, attach the dry-air exhaust duct and turn the unit on. Right away it starts doing its job. You'll save time and money thanks to the new dehumidification technology, which is designed to remove moisture and replace it with dry air. Our machine is the perfect solution for protecting valuable equipment and property from moisture damage. DO NOT use the unit in wet environments, such as a laundry room, to avoid the risk of electrical shock. 1. DO NOT place any foreign objects on the unit. 2. DO NOT operate the unit with wet or damp hands. 3. DO NOT operate the unit in the presence of fl ammable substances or vapors such as alcohols, pesticides, gasoline, etc. 1. DO NOT use the plug to start and to stop the unit. Always use the control panel to start and to stop the unit. 2. Always turn the unit off and unplug the main power plug from the electrical outlet before cleaning, moving or performing maintenance. 4.Keep electrical cord away from heat sources and always completely unroll the cord to avoid overheating. If the power cord becomes damaged, a qualifi ed service agent, qualifi ed electrician, or similarly qualifi ed person must replace it, in order to avoid a hazard or shock.